What do you do with one of the best fishing kayaks of all time? You give it a total redesign and make it even better! Check out the many new features of the 2019 Outback which add up to the ultimate fishing machine. The Hobie Mirage Outback has been in production for 17 years and over that period there have been several updates, however the all new 2019 Outback has been redesigned from the ground up to be better in every way whilst still retaining the classic Outback look and feel. Firstly the hull has been reshaped to provide more stability whilst amazingly increasing glide and paddling efficiency. This has been achieved by a finer entry on the bow eliminating hull slap which means the 2019 Outback now performs better in choppy coastal waters as well as being faster inland. The hull is now so stable that standing is perfectly feasible for most people and Hobie have included EVA footpads either side of the main hatch to make this easier. The new wider hull shape means the 2019 Outback has been fitted with a CT-W seat which gives an extra 1.5 inches of seat width as well as being completely adjustable for height, lumbar support and rake. In front of the seat the new vertical rectangular hatch with gear bucket allows much easier gear stowage as does the newly designed front hatch. 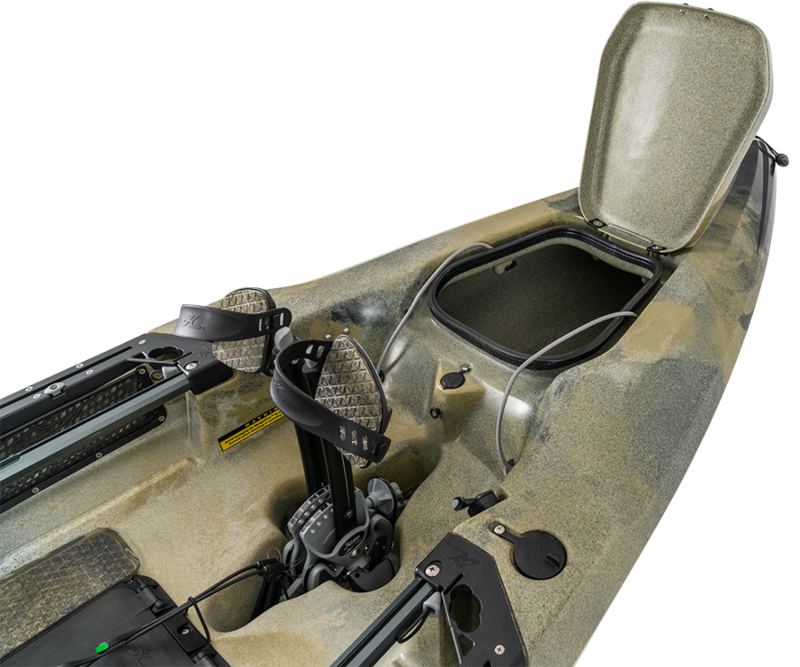 One of the most obvious parts of the redesign is the all new H-track Deluxe and H-rail system which allows a multitude of accessories to be easily attached whilst also giving ingenious storage for tackle boxes and all manner of useful tools. In the rear well a similar H-track system allows more storage and different crate options. There is also a clever cart retainer. The stern has been completely remodelled to allow a kick up rudder and even an accessory rail on the end doubling up as a handle. This rail also allows the clever included stern loading protector to clip on and helps greatly when loading the kayak on a car roof. On the underside the biggest development is the all new Guardian Retractable transducer protector which allows the transducer to be both protected and work far better with no barrier between it and the ocean floor! 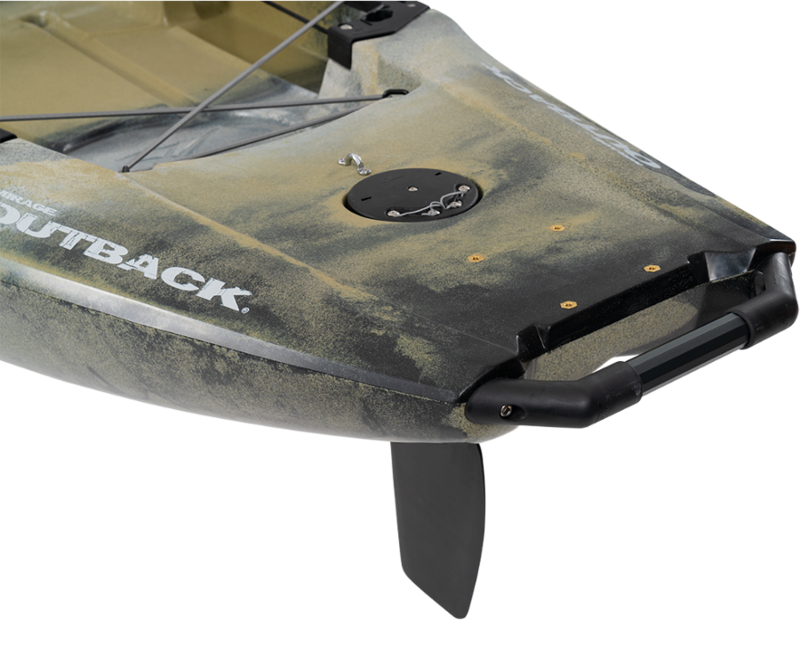 Of course the Outback wouldn’t be a Hobie Mirage without the MD180 Pedal Drive powering it into wind and tide with ease. 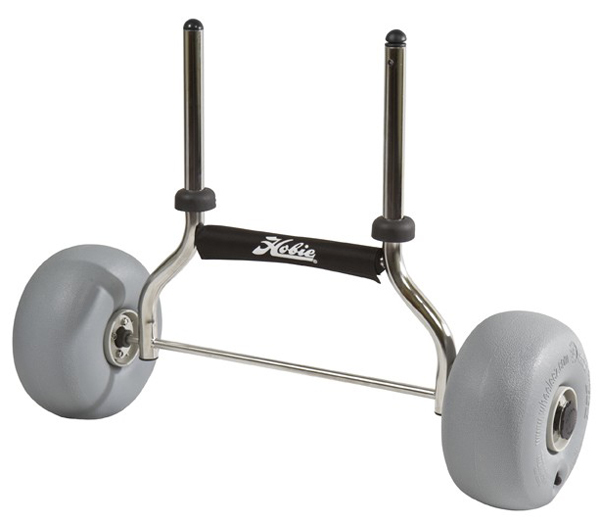 With the ability to select reverse and adjust for leg length, the revolutionary pedal drive system gets you to the fish fast. Now even more protected when raised, due to the updated hull shape. There are so many new features on the 2019 Outback that it is impossible to list them all - Just give as a call and our staff will be be happy to talk you through them. 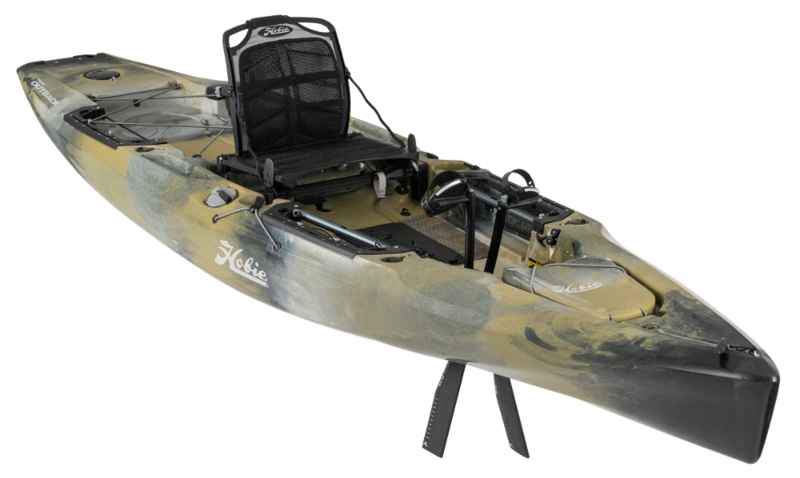 The all new Hobie Outback – its like an Outback, but better! 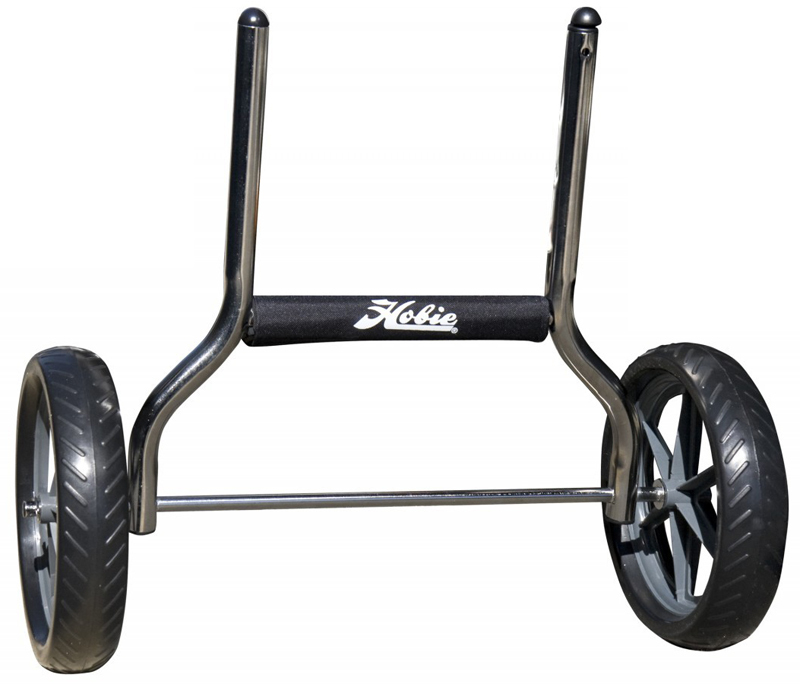 We offer a delivery service for the Hobie Outback 2019 to home and work addresses throughout England, Wales, Scotland, Northern Ireland & Ireland. Buy a Hobie Outback 2019 online from our website and collect from our store in Newhaven, East Sussex or from any branch within the Canoe Shops Group. There is no cost associated with this*. 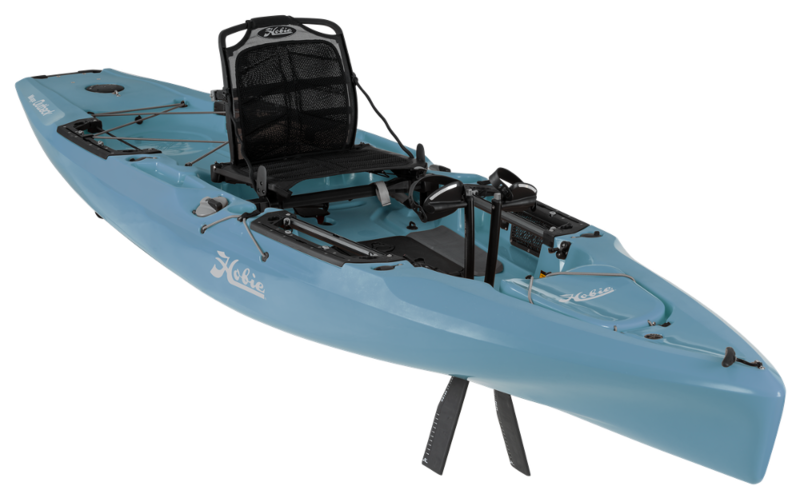 We can now offer 0% Finance on the Hobie Outback 2019 (0% APR Representitive).